These vegan cookies are no-bake and delicious! 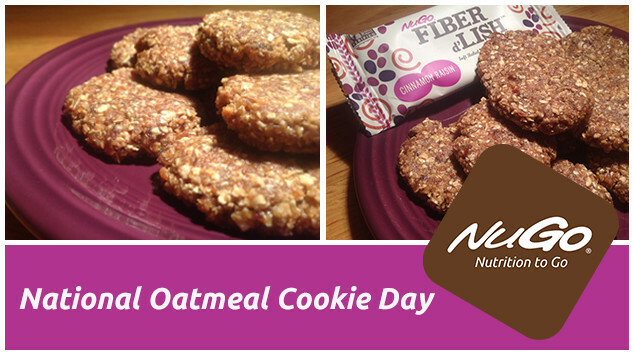 This is a great dessert for celebrating National Oatmeal Cookie Day, or for a healthy treat any day. Follow this easy cookie recipe using NuGo Fiber d’Lish Cinnamon Raisin bars to create delicious high-fiber oatmeal cookies.